Well, it's hard not to comment on them but, things seem to have settled down a little (nothing like tempting fate!) After 16 nights of sleeping in the car, we are now back in the house. The car was actually remarkably comfortable, we put the back seats down and put a futon mattress in. We only felt a couple of quakes during the night the whole time that we were in there. Life away from them has been quite busy, we have a friend coming out today, she returns to the UK in a week. There is a week "off" and then her Mum is out for a week. Justine is really excited as she has been waiting for this for a while. Then there is another week without visitors and my Parents are over the following week. Again, another week without visitors then I am off to the world Cup. Another friend will be here shortly after and then, hopefully it is Vegas! I have still not booked it yet but I am desperate to go. I am playing some good poker at the minute and I am desperate to pit my wits against some of the best in the world. 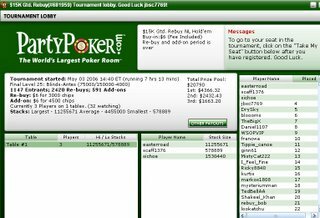 A couple of nights ago I entered a tournament that was a $6 rebuy. I don't usually enter these but there was over 1100 entrants so I thought it would be fun, even though the stakes were very small. 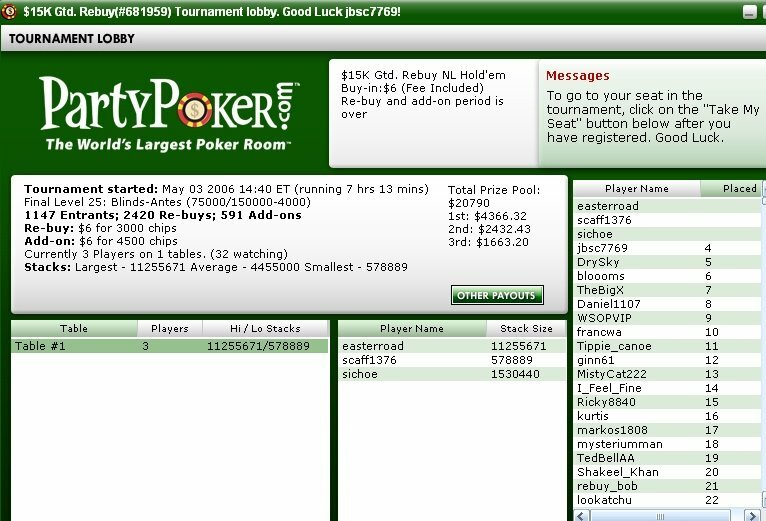 After some seven hours, I finished in fourth place and won about $1200 which was better than nothing. Anyway, tidying up to be done!